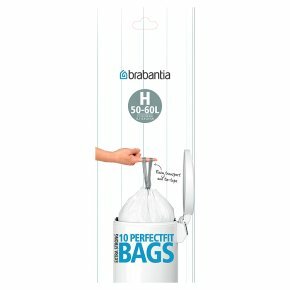 Tailor made for Brabantia - invisible when the lid is closed. Handy tie-tape for easy closing and transport. Smart coding - easy to find the right bin liner for your waste bin. Made of extra strong, tear-resistant plastics. Designed for living. Suitable for 50-60 L, 60 L, 50 L.